Coldwell Training | First Aid & Food Safety Training based in East Devon. 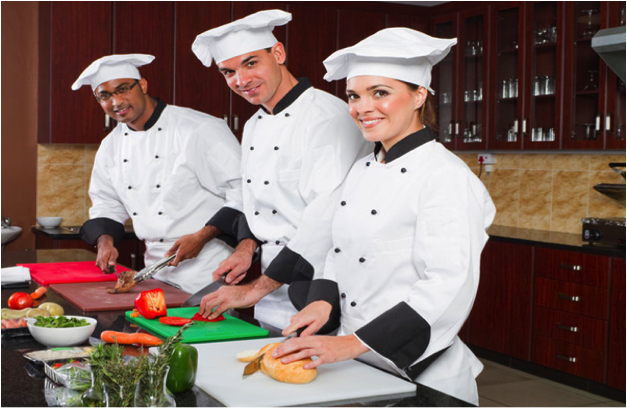 First Aid & Food Safety Training based in East Devon. NEW REGS 2017 :Anaphylaxis (1st Oct 2017), Asthma & Supporting Pupils at Schools with Medical Problems. All secondary school children to be taught First Aid. All First Aid courses include the latest Resuscitation Council amendments and meet all HSE requirements. Paediatric First Aid conforms to all the latest regulations. Exeter, Crediton & other areas on request, for 4 or more. Bespoke In-House courses available at any location. Complies with latest 2017 OFSTED, Early Years Foundation Stage (EYFS) 2017 & Dept of Ed 2017 requirements. Designed for childminders (OFSTED required) and anyone who works with children. Also useful for parents and babysitters wishing to increase their knowledge and gain confidence to handle child first aid. Course includes book, and certificate valid for 3 years. Qualsafe Award optional exam available. NB: Mix&Match, pick any day 1 and any day 2, within 6 weeks, if the above are not convenient. Contact us to arrange this. Schools & Nurseries may need to review their medication policy in light of recent information. Doctors are being advised by their government advisory body not to write prescriptions for OTC meds. MHRA licenses all medicines and classifies them as OTC when it considers it safe and appropriate that they may be used without a prescription. It is appropriate therefore for OTC medicines to be given, or authorised, by parents when they consider it necessary. This may be in a home or nursery or school environment. LMC’s who advise GP’s would therefore consider it a misuse of GP time to provide an appointment for a child with the sole purpose of acquiring a prescription for an OTC medicine, to satisfy the ruling of a nursery or school. £50.00 1 Day / 6 hr course. Suitable for anyone working with food, in the food and catering industry, in schools or as a childminder. Course includes book, exam & certificate. “A lot of interaction. A well taught course by a competent presenter.” D.F. “A very stimulating and interesting course given concisely, with enthusiasm and very thoroughly” J.M. Course suitable for those in low risk workplaces, charity workers and volunteers. Course inclusive of book, exam and certificate. The minimum age for this course is 14 years however younger candidates are welcome and would receive a certificate of attendance. “Well presented and very good practicals, great knowledge delivered in a memorable way, thanks very much” M.C. “Thought this course was very insightful” J.O. “Very pleased defibrillator explained fully and chance to see and try.” G.D.
“Best First Aid course I have ever been on! ” D.C.
Day 1 & 2 : Course can be spread over 10 weeks if required. Course suitable for those in higher risk workplaces, e.g. building sites, factories and those working with potential dangerous machinery. New H&S short courses available now. Phone or email for details & to book a place. Other Courses available: Contact us for further details or to book in house course. QA L2 Award in Principles of Manual Handling: half day course. QA L2 Award in Manual Handling: full day course. QA L1 Fire Safety Awareness: Half day course. QA L2 Fire Safety: Full day course. Other courses and in house courses available ask for details. First Aid sessions for parents or school children tailored to suit your needs available in evenings or during the school day. New EYFS now published effective date 3rd April 2017, link below. 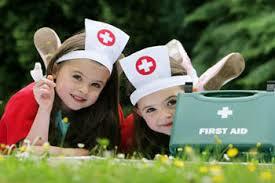 Paediatric First Aid training now compulsory for all those newly qualified in L2 & L3 Childcare. Special ‘Millie Mark‘ Award to be given to companies with ALL their staff trained in Paediatric First Aid, that includes cleaners and caretakers. Emergency Asthma Kits now recommended in schools. Coldwell Training meets HSE specifications for training providers. Coldwell Training is Approved by Qualsafe Awards an Awarding Organisation recognised by Ofqual to offer regulated qualifications. Coldwell Training offers RQF qualifications. 8.00am - 6.00pm Monday to Saturday. Enjoy the break, spring well and truly here. Dedicated to bringing quality training at affordable price to the local people.